Let’s start with the fundamentals: are they comfortable when sitting behind the wheel? Indeed, they all are. Their steering wheels have a range of height and reach adjustment. A multi-way electrically operated driver’s seat, including adjustable lumbar support, is standard in the X-Trail and Kodiaq but part of a whopping £1990 option pack in the 5008. All three cars offer a high-up driving position, giving you good forward visibility. The Kodiaq and 5008 have large rear quarter windows that provide a decent over-the-shoulder view, but the X-Trail’s smaller rear quarter glass and thick back pillars are more obstructing. Still, it’s the only car here with a 360deg camera; the 5008 has just a rear-facing one, and even one of these is a £375 option in the Kodiaq. The Kodiaq does get rear parking sensors, but the 5008 and X-Trail come with sensors at both ends of the car. Inside, the quirky 5008 goes about things differently. 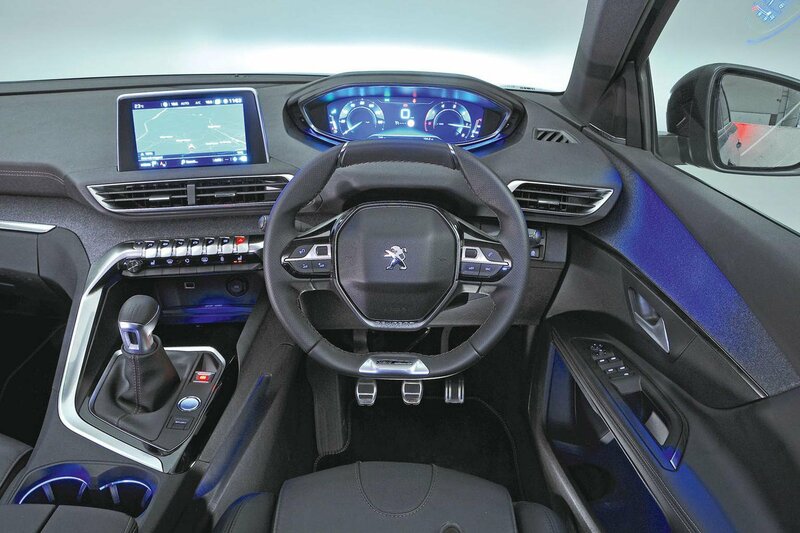 Peugeot’s i-Cockpit puts the standard digital instruments high on the dashboard, nearer your eye line and above that tiny steering wheel. Unlike in some of Peugeot’s smaller cars, where the steering wheel tends to obscure the dials, here the arrangement is better. Those digital dials are clear and can be configured in various ways to display the information you want, such as phone, navigation and trip data. The other cars get traditional analogue dials, which are perfectly legible. Sandwiched between the two dials in both is a screen that displays much of what the 5008’s 12.3in digital instrument panel does, just not on the same scale. It’s hard to pick fault with the layout of buttons and switches in our trio; most are logically positioned and easy to use. Exceptions are the 5008’s cruise controls (which are tucked behind the steering wheel) and its absence of physical climate control switches. Instead, you have to delve into the touchscreen. 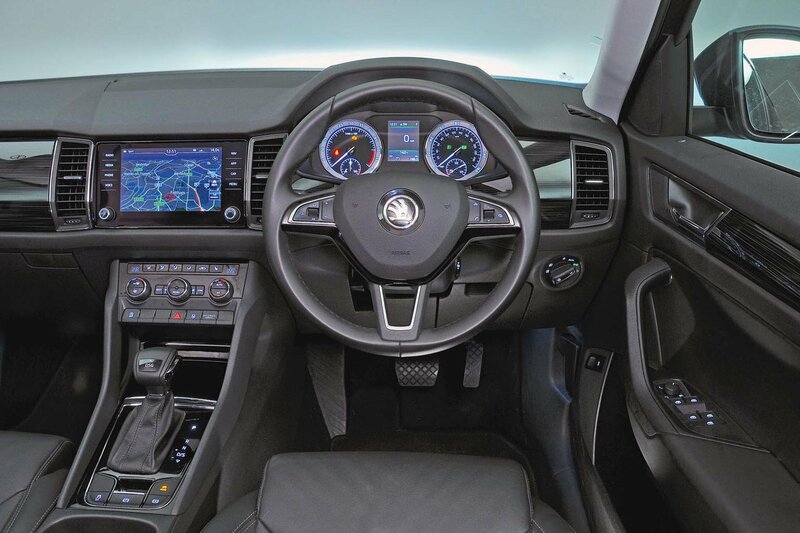 However, the 5008’s interior makes you feel like you’ve arrived in the future. It’s characterful and distinctive; the mass of swoops, curves, chrome and textured cloth, mixed with soft dashboard facings, are top drawer. 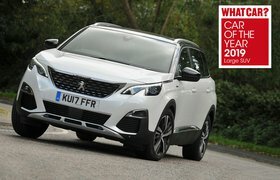 The 5008 doesn’t feel as robust as the Kodiaq, which looks more prosaic but feels like it will last until the end of time. 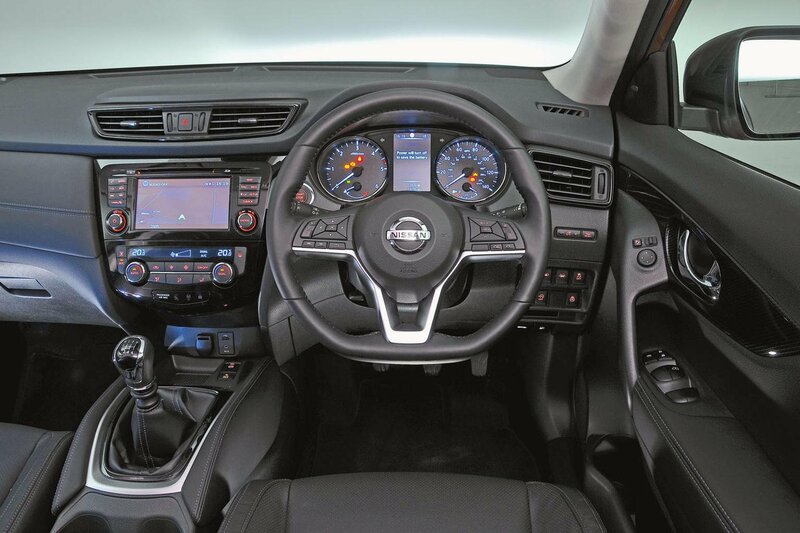 Although Nissan has upped the feel of the X-Trail’s interior in places, it’s neither as special to sit in as the 5008 nor as consistently built as the Kodiaq. Close the door, for example, and you hear a tinny twang instead of the reassuring thud the other two cars emit.